The farm-to-table movement has been popular for a few years. However, 2014 marked a milestone when the Lehigh Valley saw it’s first organic farm on site at a hospital. St. Luke’s University Health Network and Rodale Institute combined to establish the St. Luke’s Rodale Institute Organic Farm. Celebrating its second season, the farm to hospital program offers patients organic produce grown right on the campus of the hospital. All six St. Luke’s hospitals receive the organically grown local produce for daily food preparation. Every Friday, new mothers at St. Luke’s Bethlehem campus receive a fresh basket of produce from the St. Luke’s Rodale Institute Organic Farm. Each St. Luke’s campus has their own weekly farmer’s market, which is held in the hospital cafeteria. The produce is available for purchase for visitors, employees and patients. There also is produce available at a reduced price at all network salad bars. St. Luke’s Rodale Institute Organic Farm also is working with the community. Through St. Luke’s Adopt-A-School program, local elementary schools were inspired to create their own vegetable gardens. Employees from the Anderson Campus helped them with these gardens. Several school groups also come out to the farm for educational tours, where they learn about organic farming and such topics as composting, weed control, and planting crops. 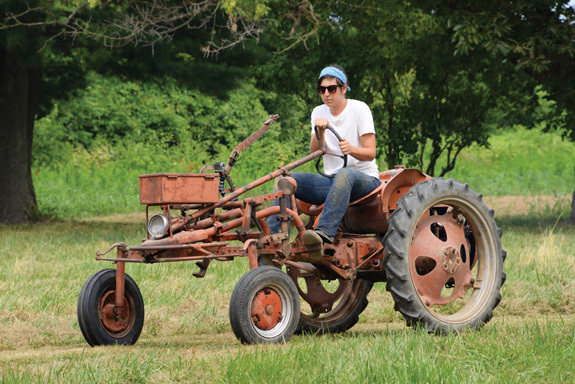 In addition, Rodale Institute has started an internship program for the farm. 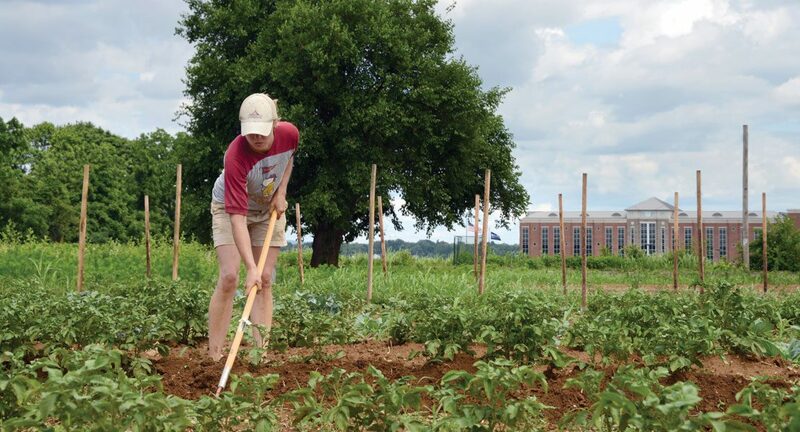 The second season of the St. Luke’s Rodale Institute Organic Farm will include several changes. New this season is the introduction of honey bees. There are three hives on site. The bees will help to pollinate the crops. They also will produce honey, however it will not be harvested until year three. Also joining the bee hives will be bat houses and wildflower gardens. The farm is projected to grow over 45,000 pounds of produce. The varieties of produce will increase from 12 to 30. The acreage of the farm is expected to double from its current five acres to 10. What crops are being grown at St. Luke’s Rodale Institute Organic Farm? Farmer Lynn says there is a mixed variety of produce. For the fall the list includes carrots, broccoli, beets, sweet potatoes, potatoes, and onions. The greens will include arugula, lettuce, mesclun mix and kale. Of course there will be pie pumpkins and some squash. The farm also has produced fresh herbs, eggplants, beans, cucumbers, sweet & hot peppers, garlic, and a variety of tomatoes. St. Luke’s Rodale Institute Organic Farm is located at St. Luke’s Anderson Campus, 1872 St. Luke’s Boulevard, in Easton. You can read more on the evolving organic farm at slhn.org/organicfarm. Also check out Rodale Institute’s website at rodaleinstitute.org/farmtohospital.